"What is OSHA 10"? and Other OSHA Outreach Training Questions We Hear. “What is OSHA 10”? and Other OSHA Outreach Training Questions We Hear. What is OSHA 10, and Who Should Take It? The 10 hour OSHA course is designed for entry level workers and provides basic awareness training on recognition, avoidance, abatement, and prevention of hazards in the workplace. It also provides information on workers’ rights, employers’ responsibilities, and filing a complaint. The OSHA 10 hour courses can be taken online or as on site courses. There is a 10 hour OSHA general industry course available as well as one for the construction industry. Trainers of outreach courses should be authorized OSHA trainers. Trainers should possess a trainer card which has an expiration date as well as the name of the authorizing Outreach Training Institute Education Center. Does outreach training meet OSHA training requirements? Training Guidelines. Some employers, unions, and other organizations do require these training courses, and some states have enacted laws requiring the training courses. OSHA recommends the outreach courses as an orientation to occupational safety and health topics, but requires employers to provide additional training for their workers on the hazards that are more specific to their jobs. When will I receive my Student Course Completion Card? At the completion of the course you will be able to print a temporary course completion card. It takes about 6-8 weeks for OSHA to process the requests for student completion cards. The cards are then sent to the trainer who will in turn mail them to the students. Will my Student Completion Card expire? The Student Completion Cards do not expire. However, some employers or states require a refresher course to be taken periodically. Also, OSHA standards require that workers receive additional training on the specific hazards of their job, beyond the basic OSHA 10 hour training course. If I lose my Student Completion Card, how do I get a replacement? You trainer can get a replacement for you from the OSHA training office. 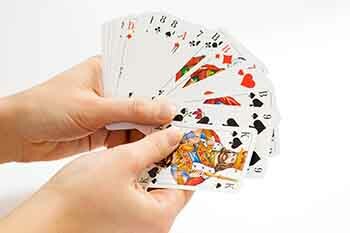 The cards cannot be replaced if the course was taken more than three years ago. Many OSHA Training Institutes now charge a fee for a replacement card.